Ávila is famous for its remarkably well-preserved Romanesque city walls. It's historic centre was declared a World Heritage Site in 1985 thanks to its rich cultural heritage. Ávila is the capital of the province with the same name, situated to the north-west of Madrid, in the autonomous community of Castile and Leon. The walls surround the Old City and have a two and a half kilometer perimeter. The walls are equipped with 88 towers, nine gates, and three posterns. 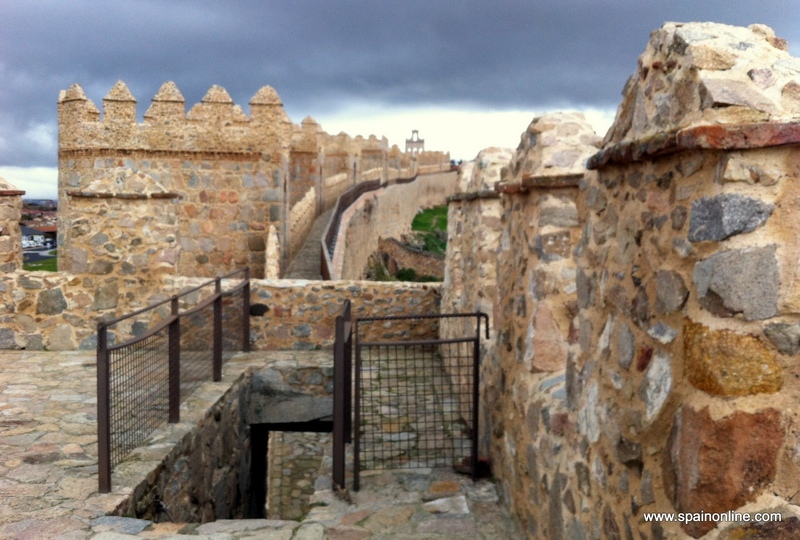 According to the Crónica de la Población de Ávila (Avila Census), construction of the walls began in 1090, but recent research suggests that building continued until the 12 century at least. It remains remarkably well-preserved. This fortified gothic cathedral was built on the site of the previous Romanesque temple. Work was carried out on the cathedral over a number of centuries but construction is thought to have first begun between 1160 and 1180. Some of the most striking features of the cathedral include the Altar of the Kings, designed by Juan Rodríguez and Lucas Giraldo, and the Renaissance style choir. Construction of the basílica began in 1130 and continued until the end of the 12th century. It was built in the Romanesque style, although the overall structure is similar to the Latin basílicas. It has a Latin cross plan, three naves, a dome, tribunes, three apses, an atrium, two towers and a crypt. The Museum of Ávila is located in two of the most important historical buildings in the city, the Casa de los Deanes and the church of Santo Tomé el Viejo. However there are many more monuments and museums well worth a visit including the San Segundo chapel, the San Andrés church and the Monasterio de Nuestra Señora de Gracia (Monastery of Our Lady of Grace), just to name a few. The cuisine in Ávila is simple and typically uses locally sourced produce. Vegetables in Ávila are of a particularly high quality. Typical dishes include "patatas revolconas" (cooked and mashed potatoes with pepper and pork fritters). Roasted suckling pig, roast lamb and veal are all popular meats. The local Alberche and Tormes rivers also provide a wide variety of fresh fish; particularly trout. Dessert choices are also varied but "yemas" are the most famous and are made from egg yolks. when a number of religious processions take place through the city streets. The Pradillo pilgrimage is also celebrated on Resurrection Sunday. Celebrations honouring Saint Teresa begin on 15th October and last throughout most of the rest of the month. The festival program includes several musical concerts, a fairground, bullfights, fireworks and a special mass in the Cathedral. The city celebrates its medieval heritage with a medieval market held during the first few days in September. There are a number of stalls, slave auctions, puppeteeres, jugglers, knights, monks and friars.